I have come a long way since my high school years of shoveling anything into my stomach just because it tasted delicious. Since finding out I have PCOS (polycystic ovarian syndrome), I take better care of myself both physically and mentally. A considerable part of this was learning about my body and what it needs and taking the time to listen and feeding it the nutrients it truly needs. Healthy habits like these do not form overnight. It is not a simple path to start but is definitely a rewarding one. 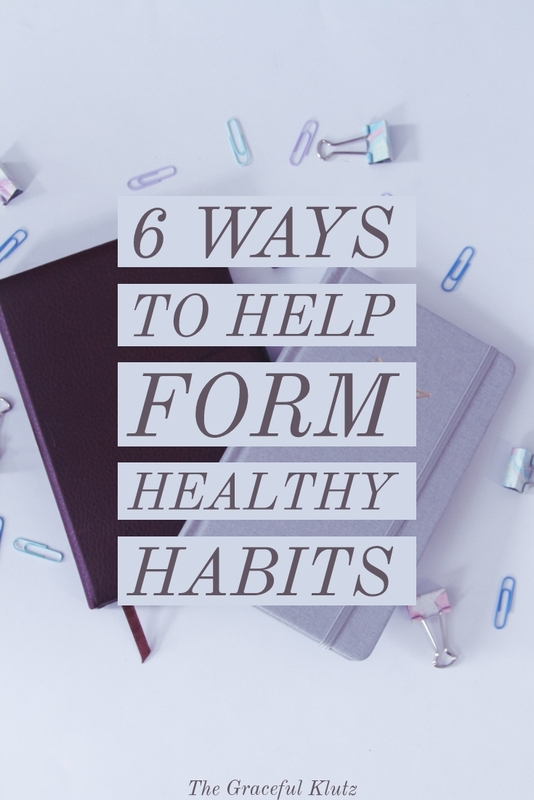 To me, forming healthy habits starts with educating yourself on what is healthy and what your body needs. While we all have the basic understanding (like the food pyramid), we don't know what we personally need. Bob might be iron deficient while Susie is not taking in enough magnesium. Everybody has different ailments and, once we start to learn these, we can start on the journey of becoming our best selves on the inside and outside. Just like a school project or assignment we should always begin with research. You cannot correctly jump into a new habit without first knowing what you are jumping into. This means going to a doctors office to get a check-up, seeing a naturopath, and/or researching online. We need the basic building blocks even to gain an understanding of the habits that we need to add to our daily lives. Once you know yourself, you can start to create a plan of action. One thing I do stress is to be careful when researching on the internet! The big wide web is filled with false information, and specific sites will have you leaving with the fear of having cancer. Have you ever searched particular symptoms and figured out they are all underlying signs of a deadly disease? You are not alone! Always seek more than one source when educating yourself. Without this, you could possibly be following a regimen that is not right for the care of your body. In my opinion, you should always seek experts advice first and then go online to dig deeper. With PCOS I realized that most doctors put you on birth control to help reduce its power, but they don't tell you about all the other things you could be doing. With a general understanding, I was able to do my own analysis and find foods to avoid as well as supplements I should be taking. A teacher wouldn't allow an entire report to based off of one website so why would you base your health off of one? They say it takes 21 days to form a habit, but this is kind of misleading. If you are only adding more water into your daily intake, it will probably take 21 days to have it stick. However, if you are doing something a little more difficult (like an entire lifestyle change), it's going to take much longer. 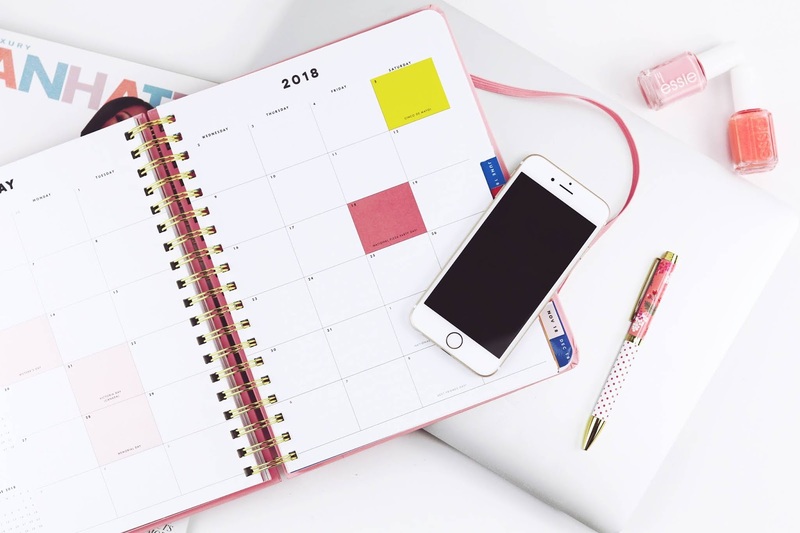 This is where scheduling plays a huge role in the beginning months. The simple fact is that you are more likely to forget something if it is not consistently on your mind. You can use any type of planner you like as long as it is something you use regularly. I love to go a little above and beyond when incorporating new routines by using more than one method to remember things. I'll write it down in my handwritten planner, schedule it on my Google Calendar (with several reminders) and set an alarm clock to remind me each day. Trust me, I know this sounds excessive but learning new tricks isn't as easy as just saying, "Today I am going to start a new healthcare routine." As a kid were you rewarded when you did something correctly? My mother would give me chocolate each time I used the toilet during the potty training phase. Not only should you schedule out what you want to do but you should reward yourself in some way. This can be a small little treat or go out with friends to see a movie at the end of the week. Just like training a dog, when we do something well and receive a treat, it tells our brain that what we are doing is a great thing. By making the reward something, you don't get all the time it will make you much more inclined to keep on with the habit that is slowly forming. If you are trying to eat healthier, lose 40 pounds, quit smoking, and exercise five days a week all at once, you are more than likely going to fail. When we put too much on our plate, it becomes stressful to the point of our minds shut down. Once you have shut down, it takes that much more time to reboot back up. Don't be a slow computer. Start with small goals and work up after you have accomplished those. You don't need to conquer all your bad habits at once, after all, Rome wasn't built in a day. When I have a lot of goals, I want to accomplish I typically pick one massive task and a couple small ones to start with. Not only am I making it easier to see the light at the end of the tunnel but I feel ecstatic once I've completed them. That feeling gives me the motivation and stamina to keep on with my journey. If I try to achieve everything at once, I'll usually feel horrible guilt when it is not completed, and it could take days or even weeks before I give it another try. Also realizing that you are human is a significant factor in being realistic. Humans make mistakes all the time, and that is just a fact of life. If you do have a slip, it will only make it worse if you treat yourself poorly. Our relationship with ourselves can make or break how well we do in life. Forming habits are not an easy task, and you are more than likely going to fall a couple times. Keep a mantra in the back of your head that goes, "Okay I fell, but that's okay. I'll just have to try again." No one on this planet hasn't made a mistake; it is what you do after the fact that matters. Be honest, if you are not enjoying something you are probably not going to keep on doing it. If your primary goal is to eat healthier and you plan 5 meals of chicken and rice, it is probably going to get dull fast. Same goes for any healthy habit you are trying to tackle. It takes some extra work, but you need to try new things to keep it exciting and to learn what you like. This will give you more drive to keep at it and eventually you won't even notice it has turned into a habit. For me, exercising has always been a painful habit to form. I realized it wasn't because exercise wasn't fun, but I was picking routines that I didn't enjoy. These routines would be my everyday 'chore,' and I started to resent them the more I had to do them. After researching and talking with others, I decided to try out a few different activities. While I am not that great at sports (hand-eye coordination? What's that? ), it was still fun to try out various sports. Not only was it exciting but it didn't even feel like exercise because I was having a great time. If you are starting a new habit, whether it be food related or fitness related, try to find fun ways to do it. You can do this by trying out new recipes, joining different classes, or even having a friend join. Also having a companion to accompany you on this new journey can make it feel a bit more enjoyable. I'll never be able to form a tiresome habit, and I doubt you will be able to either. At the beginning of any new adventure, we are filled with motivation. Eventually, that determination we felt dies away or has days where it completely slips. If you rely on this alone, you are going to get stuck in the mud. Not only do we need to set up reminders to do an activity but we need to keep ourselves accountable on the tiring days. Maybe write out a description in your Calendar to let yourself know why you started this habit in the first place. There must be some sort of accountability to succeed. This could mean joining a group, telling friends, or even telling yourself. It feels horrible when we let ourselves down which makes it a lot easier to push through. Schedule it and force yourself to stick to that schedule. We all have sick days, but we shouldn't let that set us back in our progress. If you keep on with your routine that motivation will come back over time. Remember, lousy days don't last forever, and it will get better. A starting point is excellent but is typically short-lived. For example, if you are trying to eat healthier and start with a week-long cleanse that can help you kick-start your new habit but will die out fast. Make sure before you even begin to form a new routine you have long-term goals in mind. You know this fact, but I am merely reiterating it; healthy habits require patience. If you want a considerable change fast, that is not only unhealthy but not maintainable. It might require a little more effort and time, but it will be so rewarding in the end. You want to quit smoking? It might take you longer than a week to give up the bad habit. All great things take time to master. If they didn't then everyone would be the healthiest and best versions of themselves. Don't give up just because you are not seeing results within a few days. Enjoy the journey and remember how amazing you will feel once you have overcome all the obstacles. I am not perfect (and no one else is). I still break promises to myself and fall down a peg or two occasionally. You are going to have downfalls and will have to put in a little extra effort to get to that finish line. The point is to stay positive, treat yourself with compassion, and learn patience. Not only are these admirable traits to have but it will be an extra bonus on top of forming your new healthy habit. What healthy habits are you trying to develop? If you like I can create a little accountability group for us to talk about our triumphs and losses. It really does feel great to know other people are going through the same hurdles and hear praise when we have succeeded in something.